It's time to get geeky with video files and/or thin flexible strips of plastic or other material coated with light-sensitive emulsion for exposure in cameras... i.e., film. 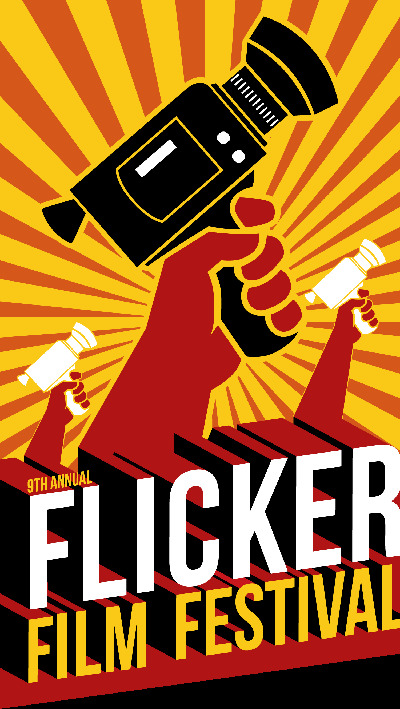 The annual Flicker Film Festival is back and will pay homage to all things shot on 8 mm, Super 8 mm, 16 mm or Super 16 mm film (well, all original material 15 minutes or shorter). Think Spielberg's latest endeavor Super 8...only much better. This experimental and independent festival has been thumbing its nose at the digital age for nine years, and this year, the event is bigger than ever. "We've got a wide variety of unique films," says festival co-founder Gary McLeod. "We've got more foreign films and documentaries than any other year in the past." The festival is only screening two local films, but entires have come in from as far away as France, Spain and Hungary. The festival will have three screenings running approximately 90 minutes in length. Featured films can be as long as 15 minutes and as short as two minutes. "We've got a little something for everyone," McLeod says. "That's the beauty of Flicker. We bring experimental films that you're not going to see anywhere else." Watch the festival at the Magic Lantern Theater on Oct. 22 at 2 pm, 6 pm, and 10 pm. Tickets: $7.